Novelty items make great impulse buys. They're perfect party favors, last-minute items to entertain kids in the car, and they make mean stocking stuffers too. Check out these best-selling novelty toys and see which would be a good fit for your store. 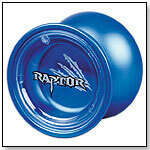 The Raptor rips through the competition yo-yo scene as an affordable, high performance yo-yo. Raptor features a large ball-bearing and SG Sticker response for professional unresponsive yo-yo play, as well as interchangable/removable side caps for added weight. Disclaimer: Raptor is for experienced yo-yo players and is unresponsive. Meaning that it does not return to the hand when users tug the string. To bring the yo-yo back to the hand one must do a "bind". Instructions are included. The Self-Inflating Whoopee Cushion by WESTMINSTER INTERNATIONAL CO.
Other products from WESTMINSTER INTERNATIONAL CO. This whoopee cushion self-inflates and comes in a “Try Me!” package. It is available in yellow, orange or pink. — “The whoopie cushion — that's your perennial novelty item,” Tye Steinbach of Thinker Toys in Portland, Ore., told TDmonthly in May 2008. — In May 2008, three of 55 retailers surveyed by TDmonthly singled out prank products as best-sellers in the novelty category. 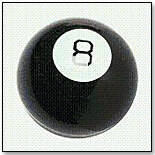 Magic 8 Ball by MATTEL INC. This all-knowing soothsayer has sure stood the test of time. Shake it up, ask it a yes or no question and in the window will appear the answer.
? Briana Miller, manager of Rockridge Kids of Oakland, Calif., said that when they get the product in, it ?sells just fine.?
? 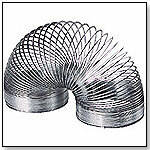 According to Palo Alto Sport & Toy World manager, Eric Hager, this product still sells well for customers of all ages. For tween and teen girls, his store did ?okay? with a pink tween/teen girl version called the Magic Date Ball. He suspects his store will get it back on shelves if they can negotiate a good price.
? ?I never had one as a kid, and as a result I was unfocused and directionless. Fortunately, I now have one in my office, and it helps me greatly in my professional life,? wrote Robert I. Hedges from Burnsville, Minn. who gave the product 5 out of 5 stars on Amazon.com. Sands Alive GLOW by PLAY VISIONS INC. Plastic components will react in the dark with the UV LED Glasses and lights up beyond your belief! Comes with 4 pounds GLOW Sand, large play tray, UV LED Glasses, UV Pen Light, Brick and Pebble Rollers, 4 Stencils in assorted themes, 2 Volcano Molds, 6 PVC Neon Bugs, 6 PVC Dino Skeleton, 3 assorted Jungle Animal molds, and a light up flashing red LED module to make your volcano come to life! ITEM PROHIBITED ON AMAZON. Gazillion Bubbles Hurricane by FUNRISE INC. The Gazillion Bubble Hurricane is Gazillion’s number one bubble machine. Year after year, this bubble machine cranks out thousands of bubbles for kids of all ages. Each Bubble Machine comes with an 8 oz. bottle of a "top secret" non-toxic Gazillion Bubble solution, just pour the solution into the reservoir attached to the Bubble Machine to continuously feed the wands creating a storm of colorful bubbles. Requires 6 "AA" batteries, not included. Works with core solution. iParenting Award Winner.